In May I took my most worthwhile package tour ever, a trip to Bosnia and Serbia organised by Political Tours. It was a sobering, thought provoking and memorable eight days. 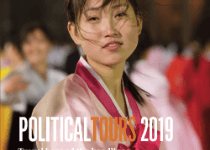 My fellow travelers constituted one of the most rewarding aspects of the trip; from a range of backgrounds, all were knowledgeable, interested and, pretty important, pleasant – not something you can say of all package tours! An extraordinary guided tour... giving visitors an inside view of both nations. An extraordinary guided tour… giving visitors an inside view of both nations. 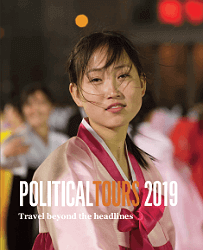 It’s often the outsiders that rock a settled boat, and I believe Political Tours has defined an utterly new and vibrant market niche that creates a new sector within adventure travel. It gave us a completely unique way to look at the environment we live in now. This trip has been the thing that has galvanized everyone. The impact was immense and far exceeded our expectations. It took us completely out of our comfort zone but because of the organisational capability we felt very safe at the same time.